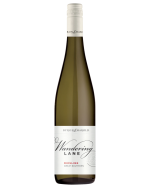 A well priced release that enjoys a nose of citrus blossom that’s cut with wisteria and varietal lime fruit. The palate has a fullness of fruit that has a floral edge to finger limes before being contrasted by a chalky, talc like acid structure. The finish has a broadness of fruit and grippy texture that should underwrite further development in bottle.